In an era of globalisation, no country can be an island disconnected from the rest of the world and small states are now integrated in the global economy. The analysis in this book shows that the experiences of small states can be valuable for other countries but at the same time, small states can be vulnerable. 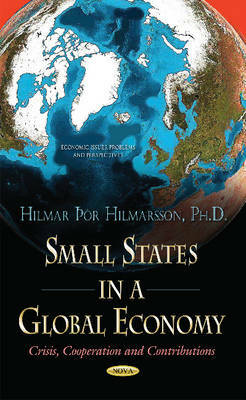 This book discusses several issues that are of global importance and analyses how small states are affected, why they can be vulnerable and how their experiences can be beneficial globally, including for larger states. The issues discussed include the 2008 global economic and financial crisis; governance issues and vulnerabilities in small states with small institutions and limited administrative capacity; international development cooperation; and how small states can contribute to the global transition to clean energy. Each chapter is a case study.